Investing in a stock of strong images is just that – an investment. Good photography is a key element of any marketing campaign, and by hiring professional snappers you’ll build up a resource that will bring benefits to your business in the months and years to come. Like many things in life, you get what you pay for, and it’s worth paying for good photography. Today’s digital cameras are so good that it may be tempting to do it yourself, and while you may take a perfectly nice picture it is most likely that when viewed by the expert eye of a professional photo editor that your shots won’t make the grade. 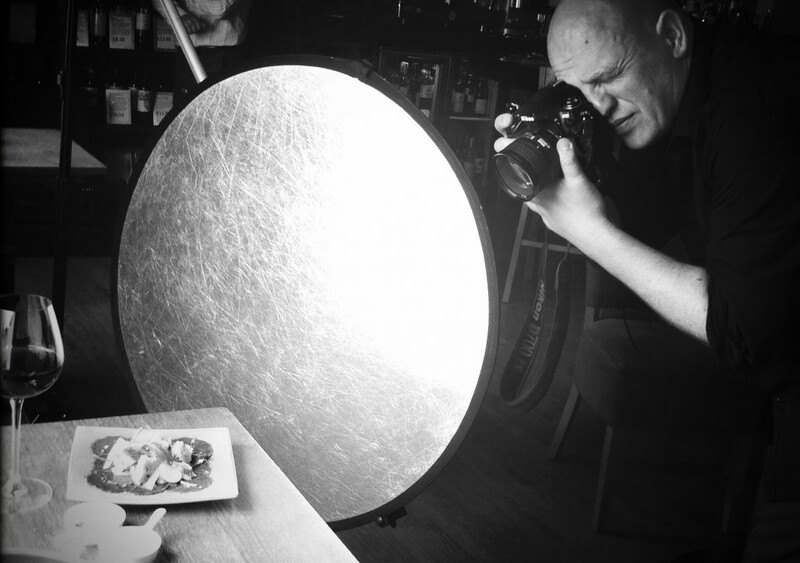 A photographer who specialises in taking pictures of food will give you better results than someone who earns a crust from weddings or sports photography. They’ll know what works, they’ll have the skills to make hot food look hot, and if you require access to a food stylist/home economist they’ll know the right people to use. If you have a limited budget, work out what you really need to have pictures of and what would be nice. Setting up shots can be surprisingly time consuming, so draw up a list of the must-have pictures you can’t do without. Start with your core/best-selling products and then if you have time spare at the end of the shoot you can do the less important stuff then. Give the photographer as much information as you can about the shoot as this will help them prepare. Make sure you cover location, start and finish times, what facilities are available (and what items or props they may need to bring), and if there are any restrictions such as customers in the restaurant/lunch service. It is also a good idea to inform customers on the day that you have a photographer working. Some photographers vary their rates depending on the usage required. Specify how you want to use the images – a typical commercial contract would cover PR use (use as editorial content by the media), your website, posters, brochures and any in house marketing. It is a good idea to be as broad ranging as possible. Check if they have any special terms and conditions or restrictions on usage, or if there are time limits or geographical restrictions in place. Finally, as the artistic creator of the piece of work, the photographer is legally entitled to be credited when the photo is used, and this should not be offered in lieu of payment or to try and reduce their fees. One of the most effective ways of creating a brief is to include examples of other images you like. This can take the form of screen grabs from websites. Pinterest allows you to create online mood boards which have the advantage of being easily shared and facilitate collaborative input. Context is also important, so if you are commissioning images for a new website, involve your photographer in the design process and at the very least show them the page designs, current branding or marketing material. 7. Do you need a studio shoot? If you need product shots for cut outs or to be displayed on a white background then you will almost certainly need a studio shoot. It costs a bit extra but the photographer can often achieve more working with in familiar surroundings with professional lighting. It will also save your graphic designer hours cutting out the images in Photoshop and the results will be better. A personal opinion here: I think restaurant food shot using natural (day) light looks more interesting than identikit studio pictures, and a good photgrapher will be able to communicate some of the character and decor the restaurant. It’s often easy to run a film crew alongside a photographer. Some photographers also shoot HD video on SLR cameras and can combine still and motion images as part of the service. What are your top tips for working with photographers? "Good photography is a key element of any marketing campaign."